By now, you've probably heard that I am running for CSM. You all know me. Many of you are inclined to vote for me without any hesitation, no questions asked. I thank you for that trust. On the other hand, a small number of you may yet harbor biases against my candidacy, due to mistaken notions about what I plan to bring to EVE. But I don't want you to vote based on your preconceptions, positive or negative. Over the course of the following days and weeks, I will present to you my vision of CSM 8. Today, I begin the campaign by telling you how I will campaign. Most of the CSM candidates will tell you about what they consider their accomplishments in EVE, or they'll describe their affiliations: "I'm the lowsec candidate", "I'm the wormhole candidate", "I'm the carebear candidate", "I'm your alliance candidate". As for what they actually stand for, it will remain something of a mystery. Maybe because they haven't given it much thought, or because they want to avoid alienating voters. I promise you that you will get none of that from me. I will tell you exactly what I stand for, and I'll describe precisely what I intend to do if I'm elected to the CSM. I won't conceal my positions on the issues, I won't play to the middle, and I won't pander. As I see it, my job in this campaign is not to trick the maximum number of voters into thinking that I agree with them. Rather, my job is to tell you where I stand on the issues and, if possible, to persuade you that I'm right. By the end of this campaign, you and I may not agree on everything. Odds are, we'll agree on some things but not others. The truth is, unless you're a candidate for CSM yourself, you're not going to find anyone running who agrees with you 100% on all the issues. They'll have you believe they do, though. It's a time-honoured tradition in politics for a candidate to present himself as a blank canvas upon which all the voters can project their own expectations. According to conventional political wisdom, a candidate should be as vague as the voters will let him get away with. Beware the candidate who tells you about how much experience he has in this game, or how much he knows about it. Beware the candidate who tells you how hard he'll work, or how well he gets along with others, or that he's still forming his opinions on the issues, or that he can believe two contradictory things at the same time. Those are the candidates who are telling you everything in the world except what they'll actually do if you send them to the CSM. The problem with the blank slate candidate is that you never really know what you're voting for. Even when they do offer you a few bullet points here or there about what they supposedly believe, you can't trust it. If a candidate is willing to manipulate voters by hiding his views, he'll be just as willing to manipulate the voters by misrepresenting his views. If it sounds like I have a dim view of politics as usual, it's because I do. Look at where it's gotten us so far. Voting for CSM has been a crapshoot; you never know what you're getting. You vote for a candidate and then they disappear after they're elected. You vote for someone with PvP credentials who turns out to be in favor of eliminating non-consensual wardecs. Nobody ever runs for the CSM saying they'll be a spoon-thrower or a doormat or apologist for the carebears. But that's the risk you run when you vote for someone because he hasn't said anything you disagree with--yet. I'm not a mystery candidate, just an honest one. Brutally honest at times, yes, but honest. You may not like everything I stand for, but at least you'll know what you're getting. And when you do hear me say something you like, you'll know that I really believe in it and will fight for it. In subsequent posts, I will describe, as fully as possible, my agenda for CSM 8. If you show me the respect of devoting your time to reading it, then I'll show you the respect of giving you the truth and nothing more or less. James/Mittani alt. Also, the above post tells nothing about HOW James will campaign, it's just another round of his egocentric, psichotic and self-delusional rants. The RL person behind James obviously is suffering from a serious mental condition, but i believe that with proffesional help he can get better. "In subsequent posts, I will describe, as fully as possible, my agenda for CSM 8. If you show me the respect of devoting your time to reading it, then I'll show you the respect of giving you the truth and nothing more or less." Wescro: Reading is hard because :effort:. Same with spelling. The sad truth is that I'm YOUR alt. 315 FOR CSM 8 ! Regardless of any difference of opinion we may or may not have on any given issue I cannot imagine a better candidate to properly represent the interests of Hi-Sec than yourself. I stand at the ready to spread your message to the far corners of New Eden. My votes are your votes, Supreme Protector. This is getting really interesting! Btw: I'm impressed by your writing style. Especially considering the steady rhythm in which this blog has been updated so far. The CSM post would be well earned. You have created a framework that does not only provide content and fun, but also presents a clear vision of the game. Nicely done! One might still disagree with You and the Code, but well ... some need less bumping, some more. PS: Has the CSM any real impact on anything? I will vote for anyone who wants to further the theme-parking of Eve. So players who want to play a specific way aren't interrupted by jerks. But it's a win-win whether James gets onto the CSM or not, because it's not like CCP actually listens to the CSM. When they do listen, it's because what the CSM suggests is actually already in line with development plans. You understand the inherent contradictions and hypocrisy with what you're saying, right? The specific why I want to play is have everyone bumped out of an ice belt, so my ice miner makes more profit. Hopefully CCP will implement measures to ensure that my way of playing canmot be interupted by jerks who want to share my profits. Your nothing more than a cheating lying scammer with a narcissistic paranoia complex. Your vanity is as disturbing as your continual cyber bullying in the name of some badly written "code". Your previous scamming history cheated players out of ISK with your premeditated fraud. How can you be trusted to represent the views of anyone when your only interest is yourself. You are not in this for anyone other than yourself to scam even more. Your conduct in Eve should bar you from representing anyone as your not fit to stand for anything half decent. 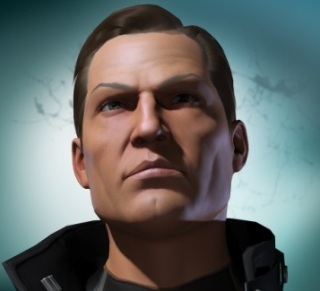 Like your "brother in arms" The Mittani your bad for Eve and will prove to be bad for CCP. Good Luck with the lies and the charade I just hope the players see you for what you are and vote for "anyone but James". Spi, let me be frank and straight forward for a minute here. I can see how you call the Order bullies. I can sympathize a bit on that front. But let me tell you, as a new player of the game, I have been met with nothing but open arms and generosity by the Agents of the New Order. Being confounded by the massive learning curve presented by the game, I have decided to contribute to the Order by, gasp, mining and industry. They have been highly supportive of me, helping me learn the game, helping me get blueprints so I can manufacture, helping me learn how to use the trade systems. They have been courteous, they have been generous, they have been friendly. They have taken time out of their lives and provided isk to a new player. They have been better than any of the tutorial missions I have played at helping me understand the game. This is what the Order represents. A new era. People who do accept that they shouldn't fly what they can't afford to replace. People who realize that HighSec isn't PerfectSec. People who /play/ the game, rather than going afk 54 minutes at a time or more. I've been cursed at, called an alt, told I have no balls, told I'm bad for EvE, and generally insulted by you. I've done nothing to warrant this except point out that 315 4 CSM 8. Point out that the people of the New Order are good people who have treated me well in my first week of playing the game. All they demand is that people actually play the game. People accept that risk happens. People don't demand a solo gameplay experience where they don't even bother to watch their ship mine ice. Based on my experiences with you alone here on this blog, it's pretty easy for me to see that I have chosen the right side. The Order is good for players. Good for NEW players. Good for HighSec, and Good for EvE. As I mentioned in the forum here, I'd like to thank Alana Charen-Teng, Small Beer, Simon Lindsay, and Agent Eunoli for being helpful, generous, welcoming and friendly to a new player. Without this "fraud," I'd have had a much more difficult time finding friends I can count on. Vin, another James/Mittani alt. Touching story, bro. I honestly have no idea how this isn't a bingo square yet. You just summed up what carebear corps do. If that warrants CSM then about 50 other corp leaders should be elected for CSM too. Since you already voted yourself on behalf of all Highsec people as their saviour, or president, or whatever the hell you consider yourself these days, why don't you just vote yourself as CSM as well? Surely you can't count on some ingorant people to vote for something as important using their own will. Why bother campaigning at all? Just proclame yourself CSM. CCP will have to accept you because that's the will of the people who by ot voting or voting for someone else unwillingly voted for you. Unfortunately CSM elections are a further process that The Saviour of Hi-sec has to go through to weild the same benign influence over low and null sec. As far as i can understand, the Saviour doesn't have to go through anything. He should be appointed as CSM by default. It can be assumed that everyone wants him there anyway, so why is a vote necessary? It is not, as even those who don't vote for him actually did vote for him, since a negative vote is still a vote, and in the end by voting either way one votes for James. Actually, i don't see why the CEO of CCP hasn't stepped down already and appoint James in his place. Apparently thus far established as part of the Saviour's powers is the ability to determine current CSM Chairman, or possibly to overrule decisions related to the CSM chairman, within the areas under the Saviour's influence (IE hisec). I refer you to the Code: "The New Order of Highsec continues to recognize The Mittani as the legitimate Chairman of the CSM. This determination remains the rule in all New Order territories." You, sir, have to study the Code more. As an AFK Miner and a bot-aspirant, you should know that you have to be humble, and accept James as your Saviour. This kind of behaviour is unacceptable, and proves that you are still far from being Code compliant. This is just idle musing but I did remember the issue of CSM eligibility coming up during Mittanigate last year so I checked the CSM White Paper for details and found: "Also, players with a serious warning or ban on any account in their possession can be excluded from candidate eligibility." Now, I'm not James 315's biographer but didn't he have a suspension or two from the early bumping days before he turned it into a legitimate business venture? The statement from the White Paper is pretty ambiguous as to whether that would even be a problem, but something to consider anyway perhaps. In the interests of being fair and balanced, before anyone chimes in with "James 315 shouldn't be eligible to run because he's a meanyhead and I hate him" allow me to pre-emptively cite the next line of the White Paper: "However, in-game behavior, regardless of play style, will never be a criterion for candidacy"
Go back to AFK mining, Hivemind. James will be on the CSM, and he will enforce the code on you. Cards on the table, I honestly hope CCP do decide James 315 is ineligible to run*, or if he does run that he doesn't win a seat. Not because I dislike him or because I'm concerned with what he'd do with that position but purely because there will be an awful lot more tears from New Order drones like yourself than there will be from miners if he does get in. Given the choice between hearing all of those who gathered and cheered on the announcement wailing and gnashing their teeth and reading another SPIONKOP rant... well, that isn't even a choice. *Note that I do not expect them to do so - frankly the White Paper seems to include the line I quoted more to cover CCP's backs than as a major exclusion criteria. James is already on the CSM, there's nothing to vote on, really. This vote is purely symbolical,as James belongs there, and even CCP knows it. So they just set up this small vote to make it legit. The Order will be imposed on High sec, Low sec, Null Sec and Wspace, and there's nothing bot-aspirants like Hivemind here can do about it. All hail the New Order! All hail James! But why would I want to be a bot? Surely then I'd rust from all the tears? You, sir, have to improve your copypasta. Ah, but you had to check my two posts, which means that you were actually doing something, instead of botting away your life. So it's a victory for the Order! Long live the New Order! May it bring further enlightenment to you! You are now a tiny step closer to being Code compliant. Hivemind is one of the good guys. I, for one, am delighted that James 315 has decided to take this path and step up for CSM. Putting aside the meta of the New Order of Highsec what James 315 brings to the table is a true understanding of what EVE Online is. He has managed to game the game many times in the past and is very successful at it. Because he understands what EVE is about. This understanding is something that is, in my opinion, of incredible value for a member of the CSM. The people we want representing us on the CSM are people who, at the end of the day, really get EVE. There will be some things that I don't agree with James 315 on and I am okay with that. He is a strong player who knows how to involve others, get them engaged with the game, and actually cares about what's going on. A player who doesn't care wouldn't put in this much effort into making the game more entertaining. I support James 315 in his run for CSM because he is someone that I can see caring enough about EVE to speak up in a manner that will be clear, concise, and thoughtful. He will bring an over perspective to the table that will be the big picture. And that is something that will be good for all the players of EVE. Wait, did you really just call James 315 concise? Welp ... the Code IS fairly concise. Bot-aspirants will obey or die. One has to let James 315: As he writes he can convince people what's behind it is another matter. Always amazes me one thing: None of the supporters of the code or James 315 say the issue 24/7 gate camp and Cloak. Is somehow hypocritical that Miner go afk because of mindless activity, but the duration of the camp which is also made ​​afk should be ok ... Where is the code? Why the code is for Miner, why not play for AFK mission runner or the other Eve in AFK mode.? Then I'm curious to see if the master of HIGHSEC it also has an answer which is not as polished as his previous statements. It is the Code that you voted when you chose James as your Saviour. You do not have the wisdom to question the Code, because if you would, you wouldn't question it. The Code is a fair and balanced set of laws that will make the whole of EVE a better place for people like you. All this hate speechs, insults, premature reactions and dubious understanding of the eula doesn't give me an other choice than voting for James. There are very good reasons for miners to support James 315, because he brings competition to the asteroids. There are strange people in my corp, some of them love it to look the whole day on asteroids and tattle via TS. They play the game in a way i never will do but they have fun and are on keyboard while mining. But at all they are loosers because every Bots, AFK one & all the slackers in the asteroid belt are same or even more competive. Why should a player take care in mining when you can have the same results without any effort ? Without the New Order there is no selection in the belts and without selection no evolution in the gameplay of miners but stagnation and degeneration. The New Order is good for the fairplay - the dedicated miners will survive and there profit will increase with every ganked half-assed-afk-botting miner. Hoax, us smart miners already double as Agents. Perhaps some of our detractors will be surprised that our biggest area recruitment demographic are miners themselves. In fact, I have personally helped a handful of our gank victims to roll gank alts. WE ARE ALL JAMES 315!!! Beware the CSM candidate who holds a dim view of politics but then voluntarily enters into it. The best politicians are those who enjoy and embrace it, not those who hate it like you. Sigh. James 315 doesn't "hate" anybody, holding a dim view of something and hating it are two completely different things. The Supreme Protector holds a dim view of miners engaging in bot-aspirant activities like AFK mining, but he doesn't hate them for it. Quite the opposite, his heartfelt care for his fellows has seen him dedicating his life to helping them reform their ways and improve as players, and as people. James 315 will bring this same sense of compassion and patience to the political arena, just as he has brought it to Highsec. In the same way that Highsec has forever changed for the better under his benevolent rule, I imagine too that the CSM will never be quite the same again once he is elected. Anon, you're saying that the people who are best equipped to represent your interests are the ones who get into the job because they enjoy the act of exercising power and influence? I think not. In my experience, the ones who do the most good are the ones who take the job reluctantly, but with purpose. James is clearly one of the latter. The pain he must feel at seeing his hi-sec empire filled with bots and bot-aspirants has driven him into the distasteful position of dealing with those he loathes, for the betterment of all of EVE. Kalenn appears to have learnt the art of lying from his saviour. It's a known fact that those who enjoy their work and surroundings are far more likely to out perform those who are bitter and resentful about it. Silly person, lying like that and trying to pretend james would be anything but a shambles. I am honestly torn about this announcement. I am happy James 315 is running, as he does break away from the trend of this ever-safe-and-padded high-sec. I hate conceited miners who think they are immune to space combat because they are making a lot of isk at a time. His aggressive attitude to the bot-aspariants and their ilk would make EvE be filled with characters again, rather than quiet fields. It really depends who else would get the other chairs. If there are many carebear CSM members, James 315 would be a valuable addition. If there are little, then James 315 isn't necessarily needed. But regardless, I wish James 315 luck in his candidacy. I am sure he will have little effort getting in. Funny how you're all like "The other guys are like this but I'm not" and you don't actually say your views as promised. Great interview with Xander. You were very composed.